1810 – Eliza Hancock, while gleaning in a field in the parish of Box, near Bath, was accused of stealing wheat from the sheaves, which she denied, and wished she might be struck dead if she had. She was found dead in the field about two hours after. 1867 – Charles Baudelaire died. French poet who produced notable work as an essayist, art critic, and pioneering translator of Edgar Allan Poe. His most famous work, Les Fleurs du mal (The Flowers of Evil), expresses the changing nature of beauty in modern, industrializing Paris during the 19th century. Baudelaire’s highly original style of prose-poetry influenced a whole generation of poets including Paul Verlaine, Arthur Rimbaud and Stéphane Mallarmé among many others. He is credited with coining the term “modernity” (modernité) to designate the fleeting, ephemeral experience of life in an urban metropolis, and the responsibility art has to capture that experience. 1888 – Mary Ann “Polly” Nichols murdered. 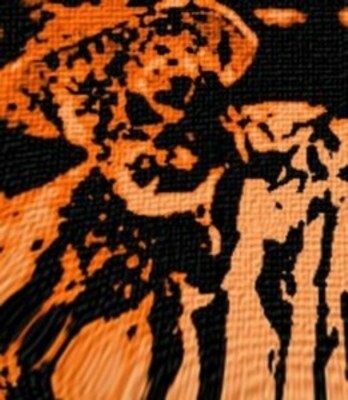 Generally considered the first victim of Jack The Ripper. 1928 – The Threepenny Opera, by Kurt Weill and Bertolt Brecht, had its premier in Berlin. 1797 – Mary Wollstonecraft Shelley born. English novelist, short story writer, dramatist, essayist, biographer, and travel writer, best known for her Gothic novel Frankenstein: or, The Modern Prometheus (1818). She also edited and promoted the works of her husband, the Romantic poet Percy Bysshe Shelley. Her father was the political philosopher William Godwin, and her mother was the philosopher and feminist Mary Wollstonecraft. 1812 – The Observer reported: “Mr. J. Toupin, while on a sailing expedition last week, with a party of ladies and gentlemen, about a mile from Exmouth Bay, discovered an animal resembling the description given of the Mermaid. 1918 – London’s policemen went on strike against wages lower that those of unskilled workers, long hours, badly organized and unpaid overtime. Technically a mutiny, the action ended when concessions were granted. Lloyd George was later to claim that Britain was “nearer to Bolshevism” that night than she was ever to be again. 1995 – Sterling Morrison died. Guitarist with The Velvet Underground. Victim of non-Hodgkin’s lymphoma. 1915 – Ingrid Bergman born. Swedish born American actress who starred in a variety of European and American films. She won three Academy Awards, two Emmy Awards, and the Tony Award for Best Actress and is ranked as the fourth greatest female star of American cinema of all time by the American Film Institute. She is probably best remembered for her roles as Ilsa Lund in Casablanca (1942), and as Alicia Huberman in Notorious (1946), an Alfred Hitchcock thriller. 1920 – Charlie Parker born. American jazz saxophonist and composer. A highly influential jazz soloist and a leading figure in the development of bebop, he introduced revolutionary harmonic ideas, including rapid passing chords, new variants of altered chords, and chord substitutions. 1814 – Sheridan Le Fanu born. Irish writer of Gothic tales and mystery novels. He was the leading ghost-story writer of the nineteenth century and was central to the development of the genre in the Victorian era. Perhaps best remembered for Carmilla, a compelling tale of a lesbian vampire, set in central Europe. This story was to greatly influence Bram Stoker in the writing of Dracula and also inspired several films, including Hammer’s The Vampire Lovers and Roger Vadim’s Blood and Roses . 1833 – The Slavery Abolition Act 1833 received Royal Assent, abolishing slavery through most the British Empire. 1906 – John Betjeman born. English poet, writer and broadcaster. He was a founding member of the Victorian Society and a passionate defender of Victorian architecture. Starting his career as a journalist, he ended it as one of the most popular British Poets Laureate to date. 1942 – Sterling Morrison born. Guitarist with The Velvet Underground. 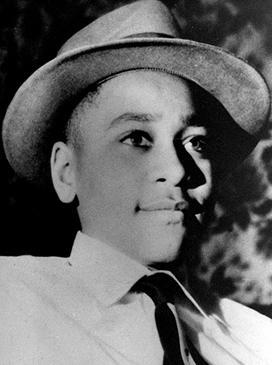 1955 – Black teenager Emmett Till murdered in Mississippi, aged 14, after reportedly flirting with a white woman , an event that galvanized the nascent American Civil Rights Movement. Till was from Chicago, Illinois, visiting his relatives in the Mississippi Delta region when he spoke to 21-year-old Carolyn Bryant, the married proprietor of a small grocery store. Several nights later, Bryant’s husband Roy and his half-brother J. W. Milam arrived at Till’s great-uncle’s house where they took Till, transported him to a barn, beat him and gouged out one of his eyes, before shooting him through the head and disposing of his body in the Tallahatchie River. 1784 – First balloon ascent in Britain, by James Tytler over Edinburgh. 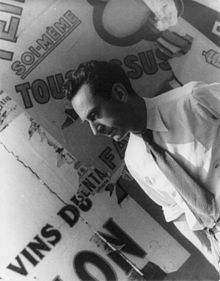 1890 – Man Ray born. American modernist artist who spent most of his career in Paris, France. He was a significant contributor to the Dada and Surrealist movements. 1896 – War broke out between the UK and Zanzibar. Happily, it didn’t become a prolonged affair – war was declared at 09:02, peace was declared at 09:40, making this 38-minute long war the shortest on record. 1913 – Russian pilot Lieutenant Peter Nesterov became the first person to perform the loop-the-loop. 1937 – Alice Coltrane born. American jazz pianist, organist, harpist, and composer. Wife of John Coltrane. 1967 – Brian Epstein died. English music entrepreneur, best known for being the manager of The Beatles. He died of an overdose of Carbitral, a form of barbiturate or sleeping pill. 1975 – Emperor Haile Selassie died. Revered as the returned messiah of the Bible, God incarnate, among the Rastafari. 1880 – Guillaume Apollinaire born. French poet, playwright, short story writer, novelist, and art critic. Among the foremost poets of the early 20th century, he is credited with coining the word Surrealism and writing one of the earliest works described as surrealist, the play The Breasts of Tiresias (1917). 1944 – Maureen “Moe” Tucker born. Drummer with The Velvet Underground. 1958 – Ralph Vaughan Williams died. English composer of symphonies, chamber music, opera, choral music, and film scores. He was also a collector of English folk music and song: this activity both influenced his editorial approach to the English Hymnal, beginning in 1904, in which he included many folk song arrangements set as hymn tunes, and also influenced several of his own original compositions. My favorite British classical composer.